It’s not often you get some bulletin board trash talk from governor, but that’s the beauty of rivalry week. During an event on Monday, Ohio Governor John Kasich took a brief moment to share his thoughts about the Ohio State-Michigan game this weekend. Yes, the Buckeyes have won eight of the last 10 meetings, but it lost as recently as 2011. 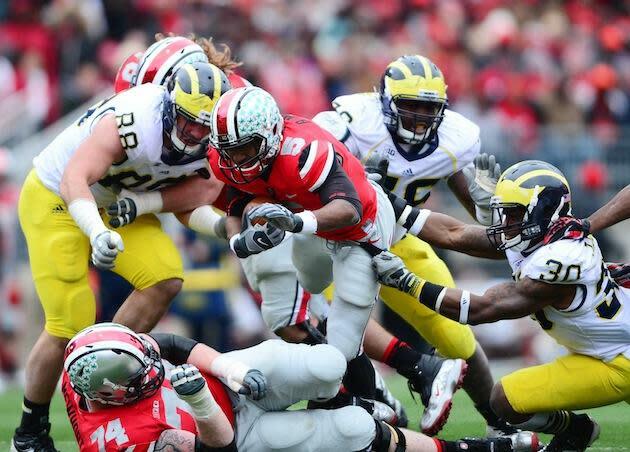 So, technically, the Buckeyes don’t beat Michigan every year. Also, last year's game was only decided by five points, so it wasn't actually a beating. But hey, why let all of that get in the way of a good moment, right? It is easy to call out your rival when your team is clearly the better program right now. The Buckeyes are No. 3 nationally and currently boast the nation’s longest winning streak. Michigan has lost four of its last six after starting the season 5-0. The Buckeyes are favored by more than two touchdowns this year, but Gov. Kasich better hope his words don't spark an upset.